Page 2: Tips in Mastering Audio at Home! Tags: Audio mastering EQ tips, Loudness in audio mastering. The final result in mastering is the finished master in highest resolution (e.g. 24-bit/48KHz or better) and CD audio master/MP3 master for distribution in 16-bit/44.1KHz resolution. 3. Good monitors with subwoofer, flat as possible. 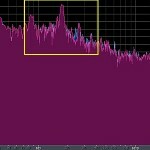 If you are in budget and looking for quality/flat frequency response monitor for home studio, you can read this post on the recommended studio monitors. You can have decent monitors for mastering starting around $300. Studio monitors for audio mixing can also be used for mastering. 4. Good acoustics, know the response of your room acoustics very well. Read this article to learn how to test your room acoustic response. . If you haven’t started treating your rooms, you can read this tutorial on home studio setup acoustic design. 1. Start with cleaning the tracks, you can remove noise, shortening gap in the beginning and ending. Read this guide on mastering for CD audio. 2. EQ, add presence like +2dB in 2 kHz, +1dB in 1 KHz and +1dB in 4 kHz. Q is 1. 3. EQ part 2, remove mud sound, by cutting -3 dB in 200Hz (use Q of 1), -3dB (high pass filter action) at 35Hz. 4. EQ part 3, add bass and lower punch for more pop and rock sound (not applicable for jazz and country genre). If at mixing, kick is boosted at 100Hz, add +2dB in 100Hz, +2dB at 65Hz. Use Q of 1 for this. 5. Final EQ, add gloss and shiny sound, boost at 15kHz, Q =1.0, +2dB. 6. Apply low pass filter at 16500 Hz (this will pass everything below that, and severely attenuates above that mark). This is optional. 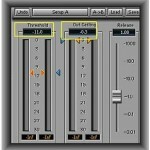 RECOMMENDED: For more tips on achieving the desired tonal balance on your audio mastering project, you can read this very useful tutorial on typical EQ settings during audio mastering. 7. You can finally apply a brick wall limiter, I use L2 Wave effects, compress so that the average RMS audio level is around -13dB for pop and rock volume average. Read this guide if you are not familiar about RMS. The resulting wave should look like a mastered wave, such as shown above. 8. Save your work, and DO NOT DESTROY THE ORIGINAL MIX DOWN (unmastered track) from the mixing studio. Listen always. Use your EARS! This is the most precious studio equipment. If you have some weakness in sharp listening, you need to undergo some ear training development exercises designed for mastering engineers. 9. Finally criticize your work, open up your audio player, add commercial tracks similar to the genre you are mastering, and then add your mastered track…Does it sound different? Or sound competitively similar? Repeat the whole process if it fails the test. Use your ears to tweak those settings. 10. Always keep the highest resolution finished. This will be your source material when you want to distribute your tracks in CD audio (see Red book tutorial link above) or distribute your tracks as MP3. You should also know the importance of dithering and sample rate conversion processes which are required when you will be distributing your masters to the public (e.g. such as an album or single release). Hope this helps a lot!